You've seen lattice paneling in pictures in your favorite home magazines, in your neighbors' yard, and stocked in the aisles of your favorite Ace Hardware store. No doubt, you've come across lattice panels many times before – but you probably never stopped to consider all the ways these simple, cross-sectioned wooden panels can improve the appearance and function of your home's outdoor space. Luckily, we did the work for you. Check out our list of lattice-inspired home project ideas to create your own custom porch, deck, patio or backyard today. Skirt your deck, pool and patio. Create an attractive border around the perimeter of your most frequently used outdoor spaces for a custom look you and your guests will love. Line your garden. Section off your garden area for an undisturbed, peaceful oasis where you can tend to your plants. Grow a flower wall. Add additional paneling to your garden space to make a lattice wall backdrop. As your flowers and plants grow, they'll wrap around the wall to create a gorgeous display. Fence in kids and pets. Lattice panels make an attractive and convenient way to block off sections of your yard, ensuring your loved ones can play in a safe area. Create an outdoor storage space. Build a designated lattice-lined storage area to store bulky equipment and save your yard from eyesores like air conditioners, pool operating systems and landscaping tools. Add character to your curb appeal. Ditch the white picket fence and use lattice fencing to add a traditional look to your exterior space. Refer to Ace's helpful pros for more ideas on how to add curb appeal to your home. Provide a privacy screen. Create a little extra privacy in your backyard by adding a lattice barrier between your favorite relaxation space and the rest of the outside world without blocking out natural sunlight. Find the affordable and lightweight panels for your DIY and professional projects at Ace Hardware. Choose between classic white or neutral tan lattice fencing and buy the amount you need to upgrade your entire yard. While you're here, don't forget to grab all the wood building supplies necessary to complete your project with ease. We have the best selection of quality tools, supplies and equipment to give your next task a high-quality look, including gorgeous tabletops and leg plates, table legs, cut lumber and panels, and much more. 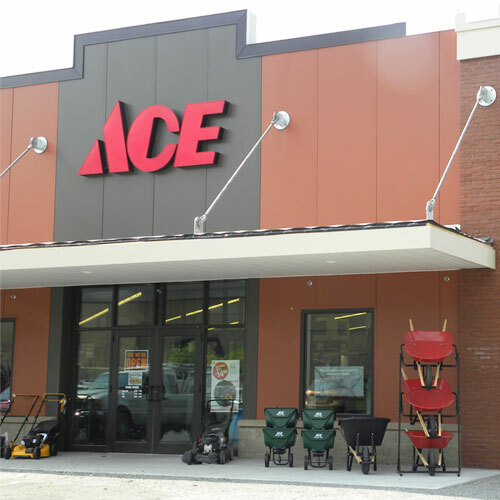 Find everything you need online or in-store at Ace Hardware today.